Home Business How will collapse of Carillion impact HS2? 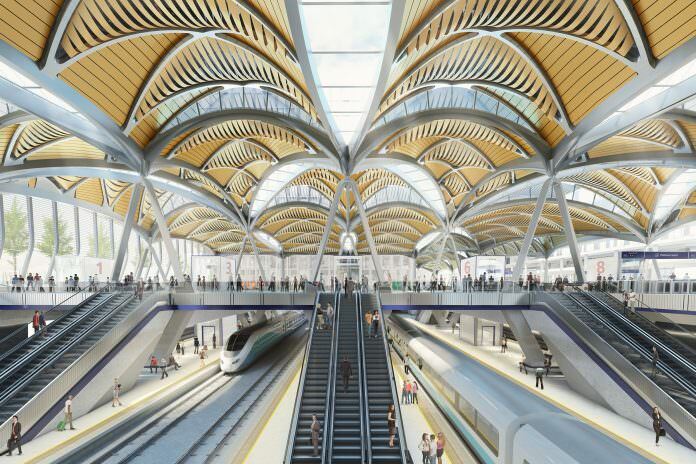 How will collapse of Carillion impact HS2? The fall of Carillion – a story which has already been documented at length by British media outlets since it broke yesterday – will have far-reaching consequences. Carillion – one of the biggest contractors in the country – went into compulsory liquidation on Monday after failing to reach an agreement with lenders. Network Rail has already said it is looking at contingency plans for completing around £200 million worth of work Carillion was contracted to deliver. The largest single rail project likely to be affected by the news is HS2. Carillion is part of the Carillion-Eiffage-Kier JV which is due to build two stretches of the Phase One route between London and Birmingham, specifically between the north portal of the Chiltern Tunnels and Brackley, and between Brackley and the south portal of the Long Itchington Wood Green Tunnel. The question is how will losing Carillion affect the delivery of these works? In a statement, HS2 described the news as “disappointing” – both for the company and the wider UK construction industry. However, the way in which the contracts have been awarded puts the responsibility firmly on the remaining contractors to address the Carillion-shaped hole. HS2 said: “The CEK joint venture has provided HS2 Ltd with assurances that in the event of any member of the group being unable to deliver on its responsibilities, the remaining members, now Eiffage and Kier, would fill the gap. HS2 Ltd does not hold a direct contract with Carillion. As well as HS2, Kier is also working with Carillion on Highways England smart motorways programme. Contingency plans have been put in place for both projects, Kier said in a statement to the London Stock Exchange. The company also said it doesn’t expect to receive a financial hit from the loss. Kier could manage without Carillion and team up with Skanska, BAM Plc, Colas Rail or VolkerRail to continue on building HS2. It’s a big blow for the company that is facing liquidation.